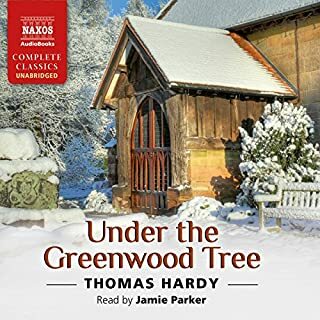 Under the Greenwood Tree is an affectionate and youthful portrait of a world Hardy knew well - village life in 'Wessex' - in which a romantic tale is set against changing circumstances. The traditional feature of local music making performed by the village band and choir is challenged by the modern innovation of organ and organist providing music in the church. Jamie Parker has got to the essence of this very funny book. His voices are superb.